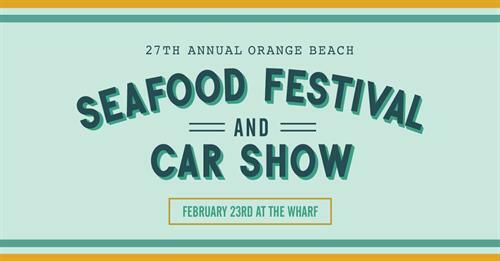 The Orange Beach Sports Association presents the 27th Annual Orange Beach Seafood Festival & Car Show at The Wharf. Come out to spend the day with family and friends while enjoying loads of tasty food, live music on two stages, and over 125 arts & crafts vendors! Drop the kids off at the Kids Zone to play while you check out dozens of classic and hot rod vehicles and venders. Bring the whole family including your furry BFF for our new Paws on Parade! We can’t wait to see the costumes! Come out and support this beautiful area and the sports-related activities in our community!